Father’s Day tends to remind me that Dad is no longer with me. It has been 5 years now when he left us on the first day of Chinese New Year, which was Amrita’s 12th birthday. An auspicious day to go I believe. But it is not with sadness that I remember him by, but with gratitude. 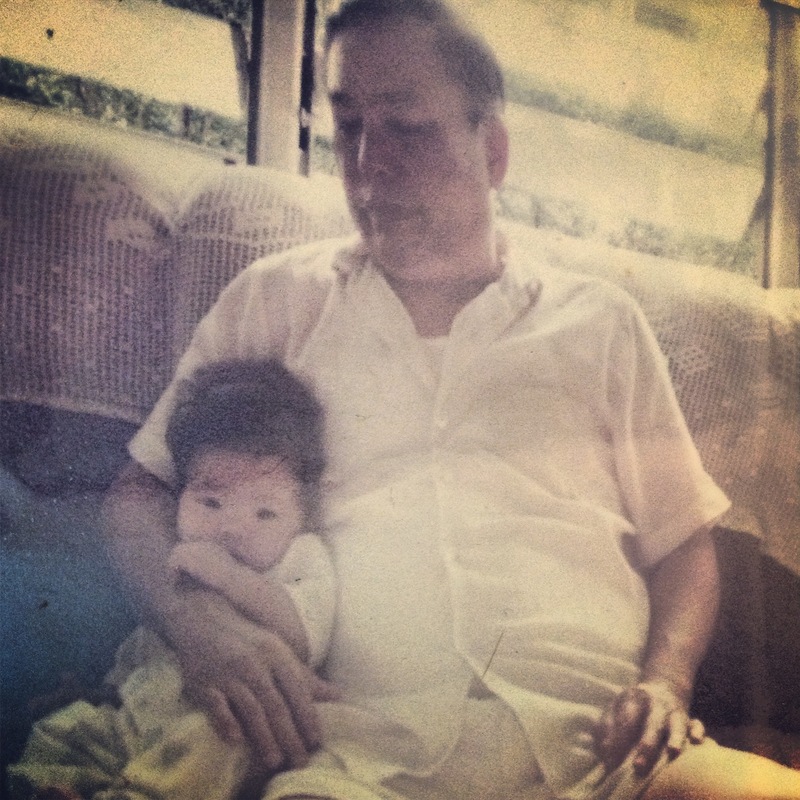 I’m grateful for the many things that made my dad who he was, and how that made me into who I am today. Photo: Amrita with her grandpa – his very first grandchild. I had quit form 6 to do music (study & teaching) full time. He was ok with that. Ten years after that, I decided to quit full time teaching to go into full time volunteer work. He was fine with that. Then I decided to stop voluntary work to get married and became a full-time housewife. He didn’t object. Then I announced that I wasn’t going to send my kids to school, so I could homeschool them. He was a little skeptical at first, but after decades of teaching in the schooling system, and seeing how everything was going down hill from the time he was a teacher, he could understand my decision and was very supportive. So what else could I ask for from my dad? 3. Dad never complained that I was too busy in KL with the kids’ activities. He was always happy to hear my voice whenever I called home. I sometimes wish that I could pick up the phone and call him, just like how I used to do in the past. I had kept his number in my phone all this while, unable to delete it from its memory. But I did delete it eventually, when I felt I was ready to let him go…. So to all you awesome dads out there, (you know who you are!) keep it up! It’s not easy being a dad. In fact, it often feels very tough. But your kids will love you for your unstinting love and support. Keep the discipline and freedom balanced (that is another tough one to do!) just do your best. You are not perfect, but that’s ok. Coz your kids will still love you 🙂 very very much! This entry was posted in Parenting, Personal and tagged father, Fathers; Day. Bookmark the permalink.